Auveco 6869 Custom Fender Washer Assortment in 7" x 11" poly box. Twelve different size Fender Washers all labeled with size, picture and part number for easy refill orders. Sufficient for any size repair facility. 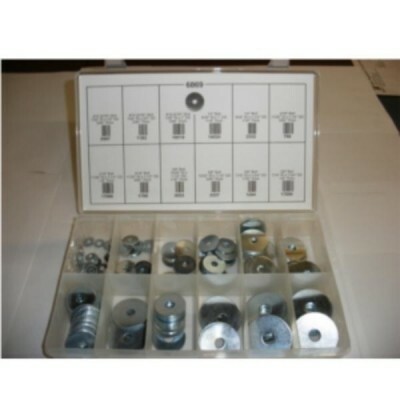 Assortment can be stored in available five slot steel rack DUR290.